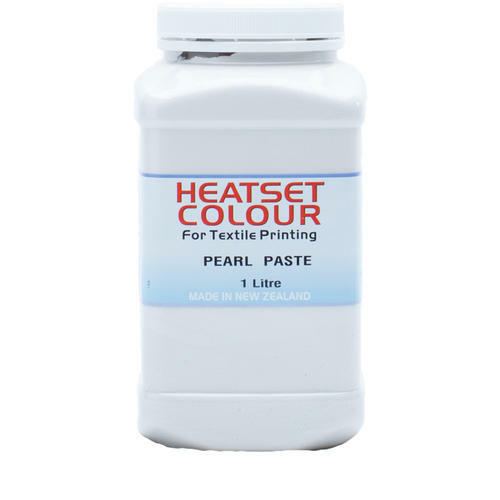 Heatset Pearl Paste is water-based fabric colour most suited for the permanent decoration of cotton-based fabrics. Heatset Pearl Paste colours are transparent and will show best on both light and dark fabric. If application is to be on coloured fabric, the end result will be a blend of the fabric colour and the colour applied. Heatset Pearl Paste is best applied by screen-printing or hand painting. For pastel shades, mix colour with Print Paste. Any form of dry heat will fix Heatset Pearl Paste.